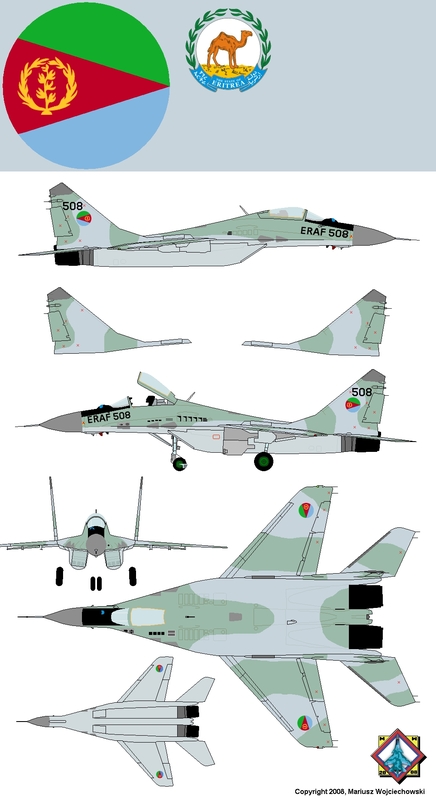 In 90's war with Ethiopia: Eritrean MiGs fight with Ethiopian Sukhois Su-27 (6 x Su-27SK + 2 x Su-27UB; Debre-Zelt air base). In 1998 some MiGs was shot-down (two?). In 2005 two MiG-29SE were modernized to SMT 9-18 standard.